The mission of the Campus Microscopy and Imaging Facility is to provide microscopy advice, education and instrument training for the research community. The highly experienced CMIF staff is committed to providing the researcher with publication quality, high resolution images for use in manuscripts and grant applications. 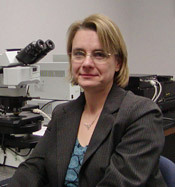 Sara Cole received her Ph.D. in 2001 from the Department of Microbiology and Immunology at The Pennsylvania State University College of Medicine and joined the CMIF in 2010. Sara has extensive experience in the field of cancer research that has included the use of fluorescent labeling technologies and prolific experience with wide-field, confocal, and live-cell imaging microscopy. Sara oversees the live-cell imaging and Multiphoton systems. 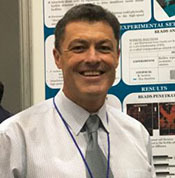 Brian Kemmenoe is an experienced light and electron microscopist. He has a Bsc in Applied Biology and has significant expertise in fluorescence microscopy using both wide-field and confocal microscopes. Brian has a strong research background and expertise in the preparation of biological specimens for SEM and TEM. 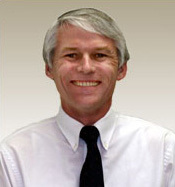 Brian can help with brightfield and confocal microscopy and SEM sample preparation and imaging. He really enjoys working with students and staff to help them achieve their research goals using the CMIF systems. Sarah came to the CMIF with 15 years of histology experience, ten years of which has focused on electron microscopy sample preparation. She received her Bachelor's degree from the University of Oregon in Psychology. Sarah has experience with a broad range of TEM and SEM sample types with a focus on neural tissues in part, because of her keen interest in the mind and brain. She loves new challenges and enjoys method development so feel free to contact her with any questions about EM sample preparation.